As part of the Marketing Society's 24 Hour Global Conversation, 26 leading marketers spoke candidly about the biggest challenges facing them this year. What’s on the mind of the world’s top marketers? Well, the Marketing Society’s second 24 Hour Global Conversation report has some of the answers. Over a 24-hour period, Bloomberg Media, which compiled the report, spoke to 26 senior marketers across four continents. They were asked to identify the greatest opportunity and challenge for their business in 2016. When this research was distilled, it was apparent that there are five key areas clients are grappling with – digital transformation, cyber security, the collaborative economy, customer-centricity and talent (they are summarised below). The Marketing Society will delve deeper into these challenges this year through a series of events. The overall mood was nonetheless positive. It was captured by one of the participants – Darren Woolley, the founder and global chief executive of the Australian marketing management consultancy TrinityP3 – when he said: "2016 is going to be the year of the marketer. I believe we will see marketing come back to the forefront of business following the realisation that it is essential to capturing and engaging customers’ attention and ad dollars." It is no surprise that one of the key issues for marketers is the ever-changing digital world and the impact this is having on business. 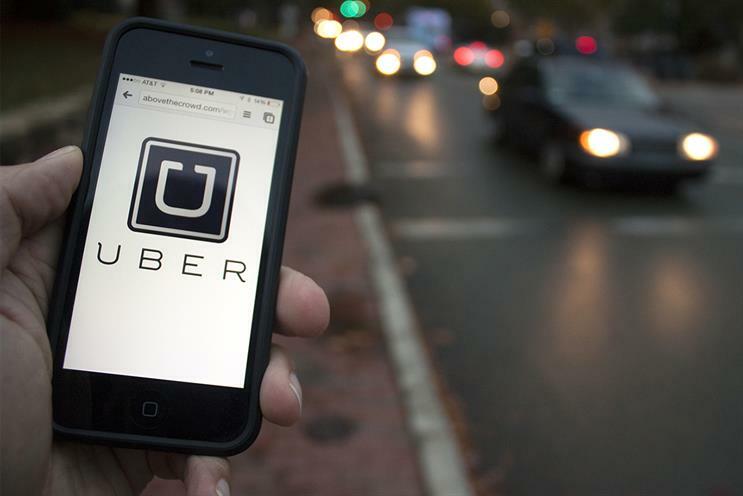 Wayne Arnold, the global chief executive of MullenLowe Profero, captures just one of the issues – disruption: "Uber is the world’s biggest car company, but doesn’t own a car. Amazon is the world’s biggest retailer, but doesn’t own stores. The digital disrupter is the competitor to every single brick-and-mortar business." While many companies remain focused on their own digitisation and what this means for their infrastructure, process and business model, Alison Orsi, the UK vice-president of marketing communications at IBM, notes that this is only important in the sense of what it allows a company to do next: "We are now talking about how you take data forward and analyse it, and have started talking about what we’re calling a cognitive era, or a thinking era. The opportunity is data, but really it’s about data analytics." As the digital world has grown, so too has the need to protect it. Cybercrime has the potential to be a huge risk for businesses, and being the subject of a high-profile data breach – as TalkTalk was last year – can do serious damage to a company’s reputation. As Andrew Cocker, the senior marketing director at Expedia, says, the role of a marketer has expanded dramatically: "It’s not about advertising. Our brand is made up of every single iteration that’s happening; every user experience. So, every time we do something to upset them, or have a problem we do not solve quickly enough, we’re eroding that brand, and no amount of advertising will fix that." Companies are becoming more interconnected – both in the broader ecosystem (for example, Apple is a big player in the cloud space but rents capacity on demand from others’ servers) and also internally. Cross-discipline working will become the norm. Companies are responding to this change in different ways but realising that they cannot do everything in isolation. Steve Walker, a marketing consultant, sums up this new philosophy: "There is a different type of mindset that people need to adopt – think first about working with others rather than trying to do everything yourself." Improving internal collaboration within teams and divisions is required to better adapt to change. Gaining a more holistic view of a customer is a key driver for marketers who realise that they need to simplify their brand experience. Being able to offer a good, joined-up experience across all consumer touchpoints is a competitive advantage. As Cocker says: "We are championing the user during every step of the process. Our biggest job is to make that user experience totally seamless, intuitive and less complex than it is today." The key question, he says, is: "How can we anticipate what the customer needs before they even have to ask?" This is certainly not a new challenge, but it is one that continues to plague marketers – the need to recruit, develop and retain the right people. This is becoming increasingly important as the required skills shift. Annabel Venner, the global brand director at Hiscox, says that ensuring she has the right people is top of her agenda this year. She describes her challenge as: "How do we continue to attract really great, really smart people to our business? At the same time, how do we keep on top of the right structure to have and upskill the staff?" Adaptability has become an increasingly prized skill. As Julian Boulding, the president and founder of Thenetworkone, says: "You would have got hired as a senior marketer in the past because of what you knew or who you knew… Today, you get hired because of what you’re willing to learn."